Ladies, daub that carmine lipstick. Men, don your mac and fedora. 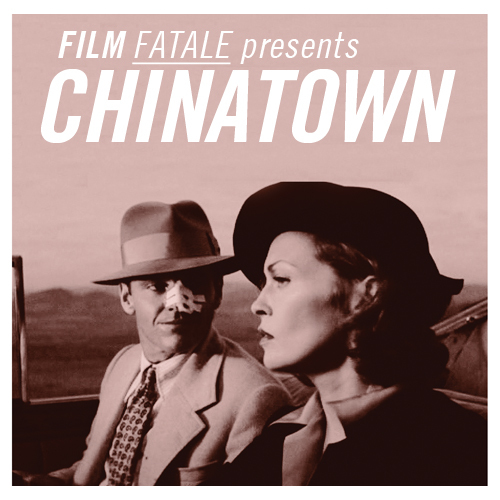 Get ready to immerse yourself in the world of femme fatales, detectives, cocktails, and vintage music as Film Fatale steps out of the shadows on 18 April for Chinatown — the greatest film noir never made in the 1940s. We want you to strut your stuff as a femme fatale. Or come dressed as a hard-boiled detective. You can pay homage to film noir, or mirror the film’s stars — the diaphanous Faye Dunaway and the naughty Jack Nicholson. Whatever you choose, we want you to come vintage. This night of glamour, murder, mystery and intrigue at Dublin’s Sugar Club will be followed by a night of vintage fashion, retro music, cocktails and retro fun. Swing-dance to live performances from Jhil Quinn and the Cafe Vaudeville Band and jitterbug to Film Fatale’s resident DJs, The Andrews Sisters’ Brothers who will be your trustworthy guide to all things vintage, bringing you on a tour of music evolution with your favourite dance floor fillers from the late 1930s through to the 1970s and the days of Disco. We believe Chinatown is the greatest film noir never made in the 1940s. Roman Polanski’s classic neo-noir is set in drought-ridden 1930s L.A where greed, political ambitions and illicit desire hide in the shadows of this seductive, sun-filled paradise. The film stars Jack Nicholson as JJ ‘Jake’ Gittes, a straight talking private eye specializing in matrimonial cases. What initially seems a straightforward divorce case assignment turns into something far more challenging, wide-reaching and dangerous. Gittes is plunged into a complex web of deceit and murder, while finding himself lured into the bed of the beautiful Evelyn Mulwray. Chinatown is as salty as a dirty martini. The dialogue as snappy as Dunaway’s garter belt and Nicholson and Dunaway simply sizzle on screen together. Sit back in the sumptuous surroundings of the Sugar Club, enjoy a classic signature cocktail, have the Film Fatale usherettes serve you popcorn while watching one of the greatest film noirs unfold. 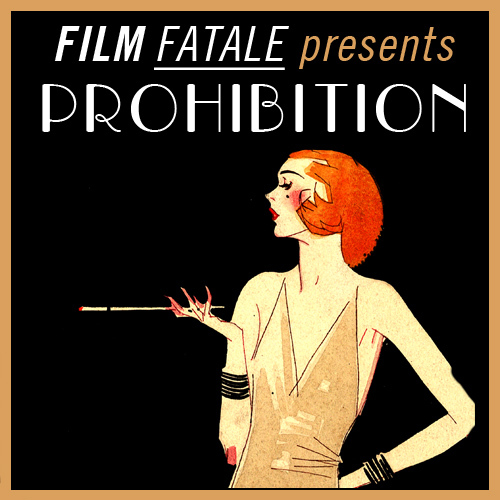 Happy birthday Film Fatale! 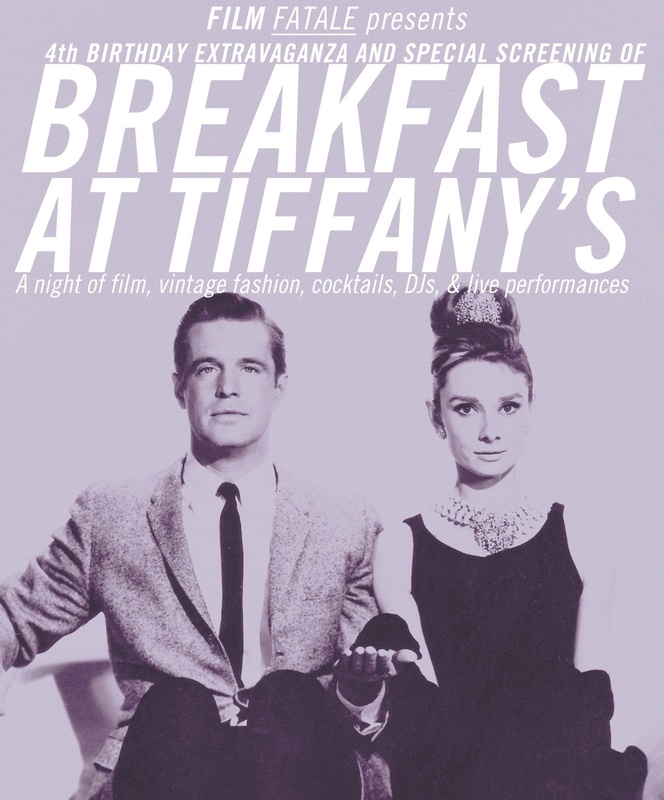 Help celebrate the fourth birthday of Dublin’s most glamorous event on Saturday 7 February with a red carpet screening of Audrey Hepburn’s timelessly stylish film, Breakfast at Tiffany’s. Walk the red carpet. Have your picture taken at our photo booth. 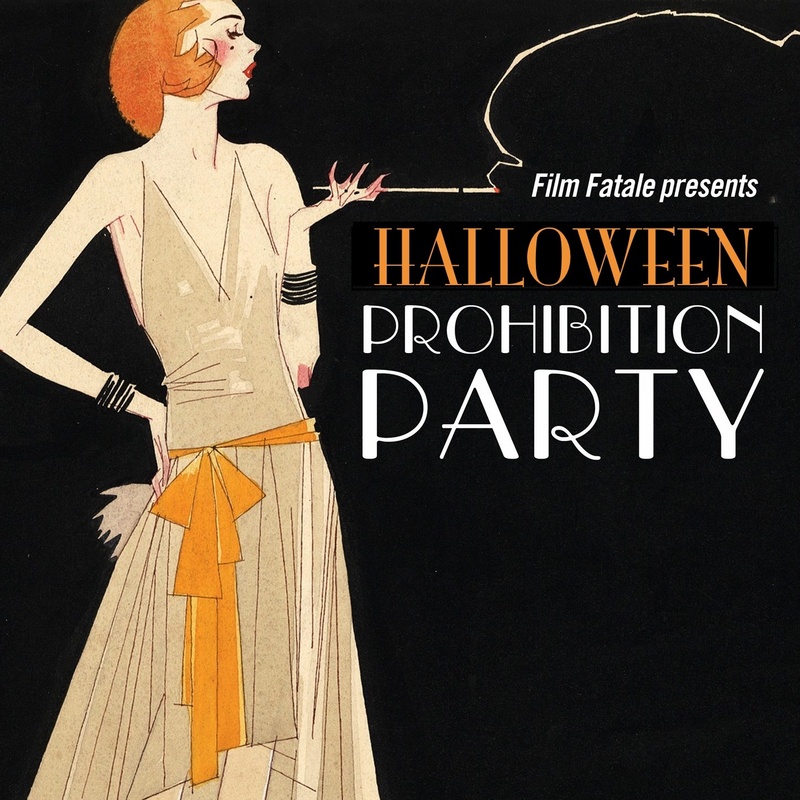 Relax at your cabaret table with a glass of Holly’s famous party punch or a 1960s classic cocktail and fresh cinema popcorn served from the Film Fatale usherettes. There will also be unlimited birthday cake and pre-film live music including Henri Mancini’s unforgettable ‘Moon River’ from the film. The film will be followed by the Swinging Sixties Vintage Party that will take you back in time to the decadent days of cinema’s most iconic party girl, Holly Golightly, for a night of vintage fashion, retro music, cocktails, dancing and good old-fashioned fun in Dublin’s Sugar Club. Was there ever so elegant a heroine as Audrey Hepburn’s Holly Golightly? Her charm and sparkle have touched audiences for over half a century. The deliciously eccentric New York city playgirl is determined to marry a Brazilian millionaire but her long-suffering neighbour George Peppard has other plans. The after-party will feature live music and Film Fatale’s resident retro DJs The Andrews Sisters’ Brothers who will play dancefloor fillers from the late 1950s through to the 1970s and the days of Disco. This red carpet, glamorous extravaganza has a vintage dress code, so come along in your finest vintage ensembles or pay homage to the high fashion and mod style of the film, emulating Audrey Hepburn or one of her many dashing suitors.